COPENHAGEN, Denmark – Oct. 21, 2015 – Betadwarf, developer of the sleeper hit FORCED, announced today that the game is now available on the Xbox One and PlayStation 4 as a digital download. 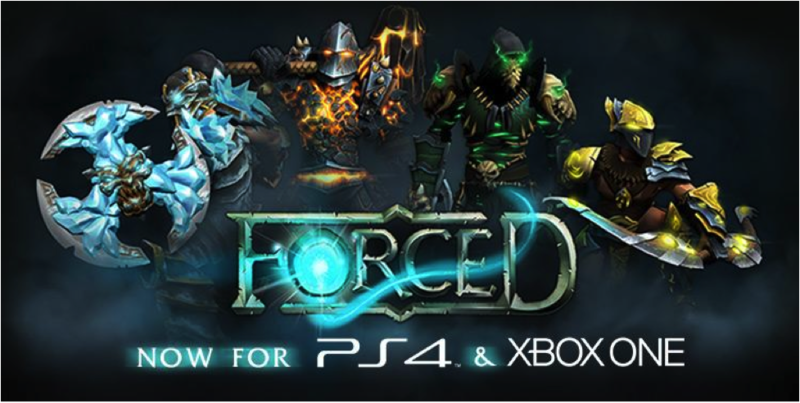 Originally released on PC, FORCED has been optimized and improved for its new console release, particularly with respect to the multiplayer experience. Review keys may be provided upon request by contacting Press@betadwarf.com. Find more press information about FORCED here. Betadwarf is a young company of passionate developers. Through 3 years of struggle with the development of FORCED, Betadwarf has become a skilled and mature development team currently working on the follow-up to FORCED. The game is currently being financed by a Kickstarter to get through the last part of development, until the game’s expected release in March.